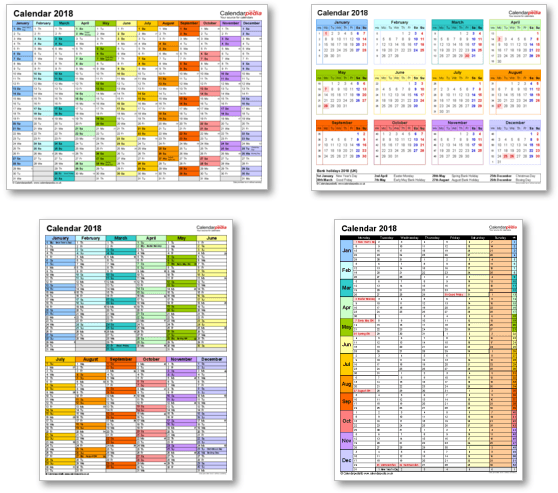 Click on a month to go to a selection of downloadable and printable calendar templates for this month. Click on a bank holiday for further information about this bank holiday, including dates for coming years. 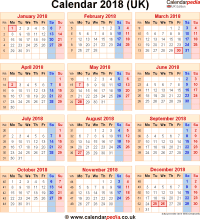 A selection of downloadable, printable calendar templates in A4 format for 2018, with UK bank holidays and week numbers, suitable for a variety of applications.